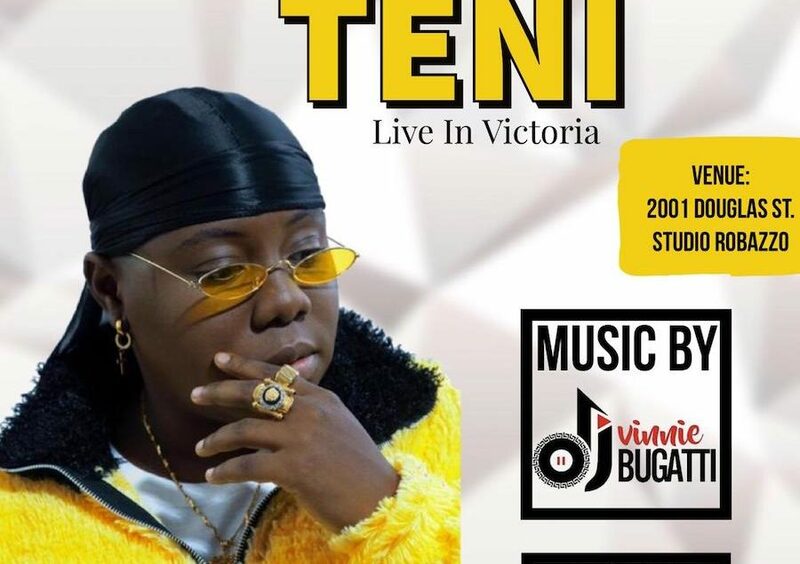 Teniola Apata, better known as Teni, is a female Nigerian based in Afrobeat music. YouTube Music’s Trending Artist on the Rise and listed among the “Six Nigerian breakout stars, viral sensations of 2018” by Premium Times Newspaper. The sensation will be performing live at Studio Robazzo along side Comedian/Actor JayKayKenny (Shortman) as the host and couple of special supporting guests on May 10th, 2019 in Victoria, BC.